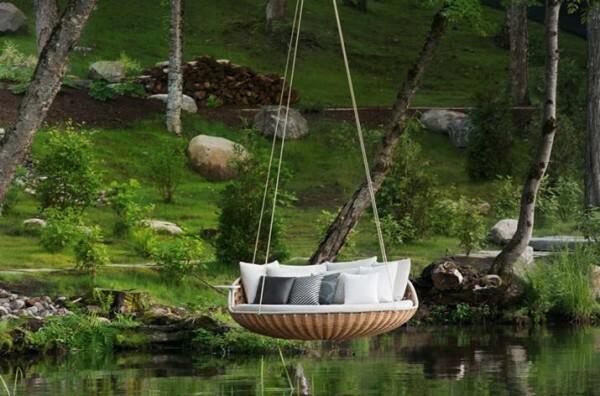 Dedon known for it’s creative and comfortable outdoor furniture, such as these Yin Yang Chairs. Their latest creation is the brainchild of Daniel Pouzet and is titled Swingrest. 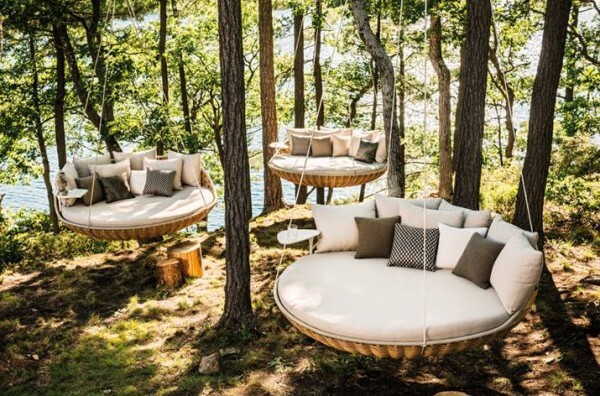 It is one of the first products to emerge from the Dedon Island Resort brand, which is the ‘Outdoor Living Lab’ located in Siargao, Philippines. Pouzet who is the co-architect and designer at Dedon Island, was inspired by the extra high ceilings of the resort’s villas. The bottom of the Swingrest is nest like and has been borrowed from the company’s earlier creation Nestrest. 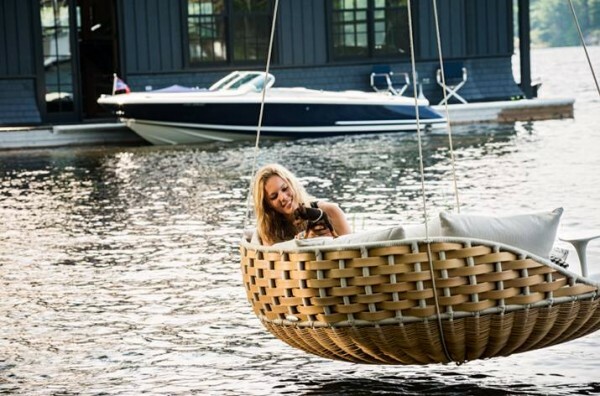 The Swingrest however is far more spacious and fits more people. While the Swingrest works beautifully outdoors on a terrace or veranda, it also fits beautifully with indoor decor. 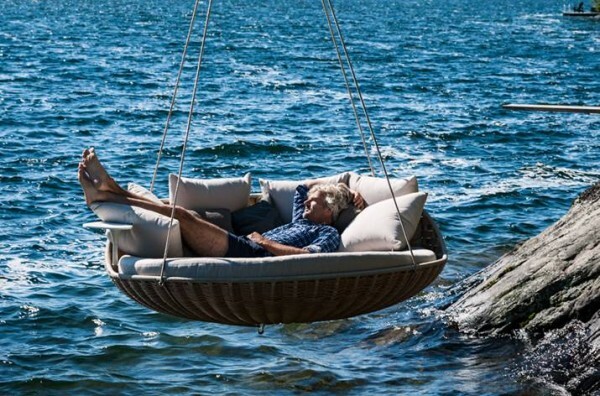 The elegant suspension system with it’s 180 degree rotating and tabletop and specially created cord that wraps around it’s exposed tubing ensures that the Swingrest is extremely safe. It even comes with optional fabric curtain cover, to give shade and privacy to those using it.